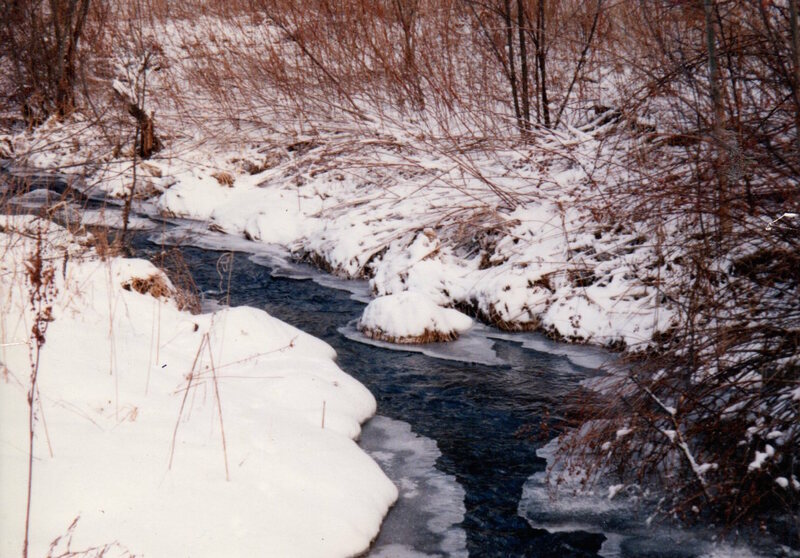 Tabitha’s process began with 25+ images of the stream bed near her studio. 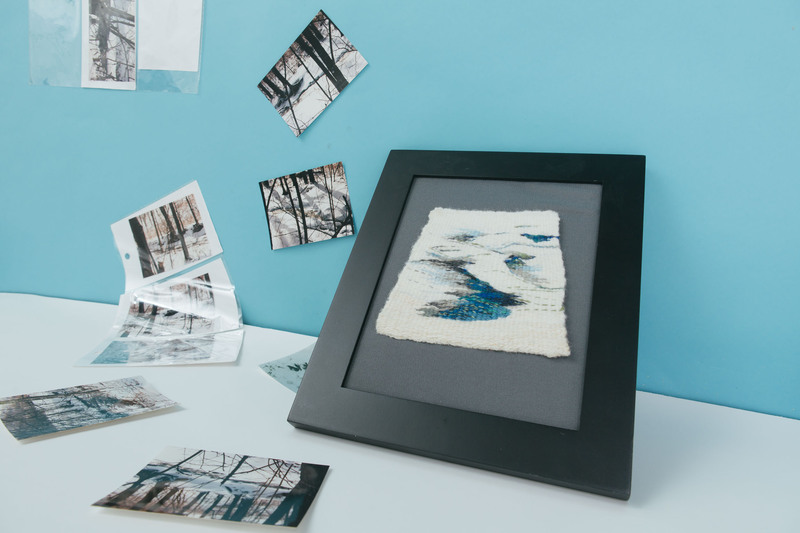 Above are two of the images; below is the collection of photos alongside a woven sampler she created. 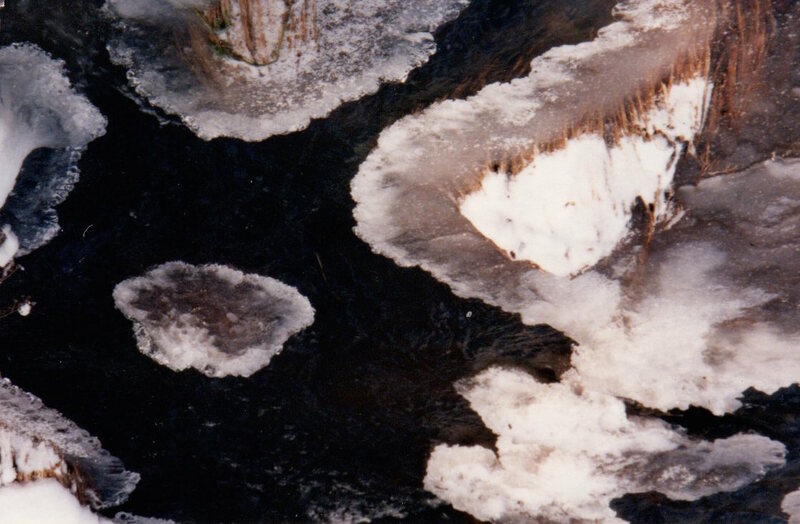 In 1995, she used these photos to create a woodblock color reduction print, pictured below. 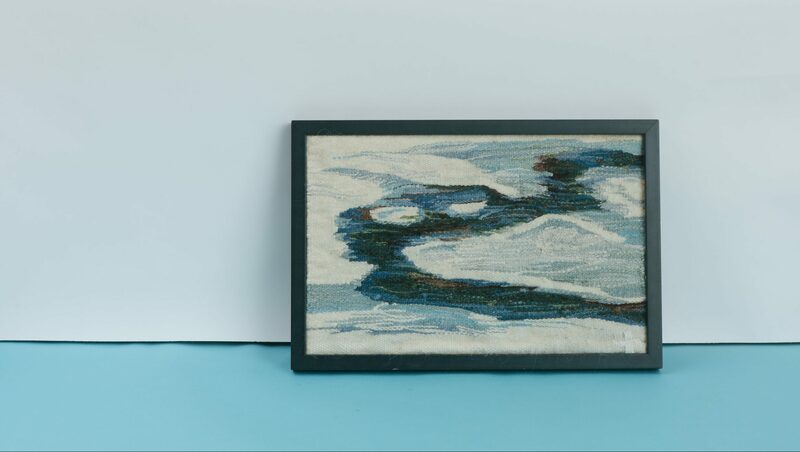 The final step was a tapestry woven in wools, completed in 2000. 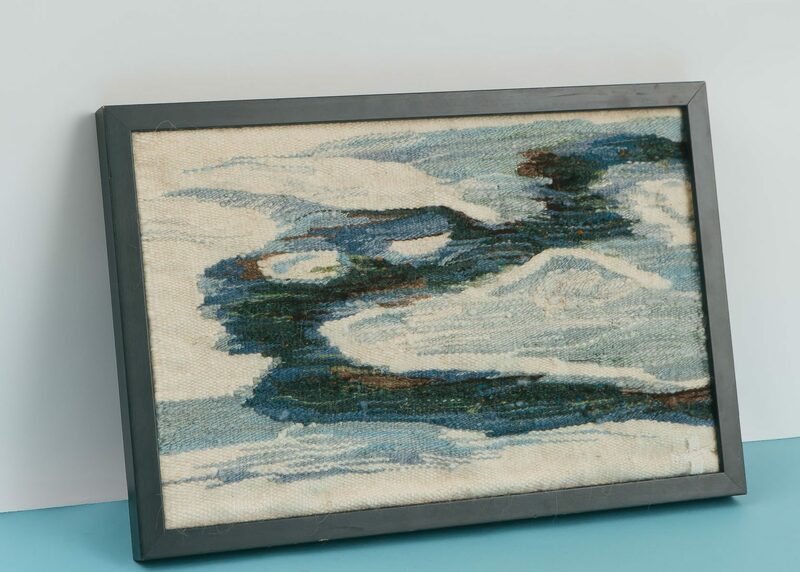 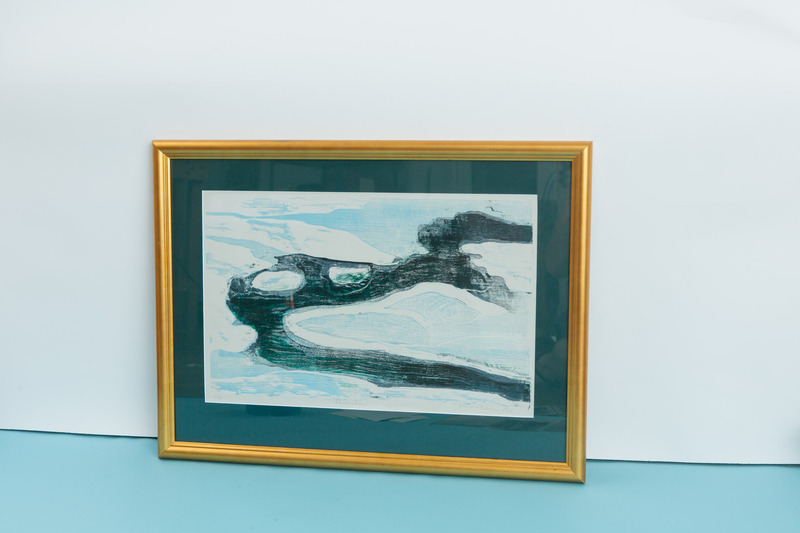 Winter Stream is pictured below, framed.